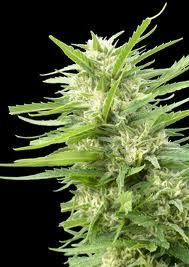 Shark Shock CBD is a feminized variety, with Indica dominance, which is born from the union between a Shark Shock and a selected male CBD Crew. 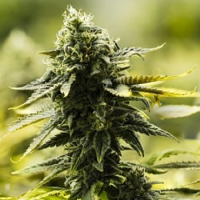 Shark Shock CBD Feminized Marijuana Seeds by Dinafem Seeds: Shark Shock CBD is a feminized variety, with Indica dominance, which is born from the union between a Shark Shock and a selected male CBD Crew. It has been developed with the aim of offering a quality medicinal variety, intended for those persons who suffer diverse pathologies. Shark Shock CBD is the fruit of a project carried out in close collaboration with CBD Crew. It is an extraordinary plant which is cultivated easily and grows powerfully, its flowering is fast, and it produces compact buds covered in resin. It is a variety with which all growers, beginners and experts alike will obtain abundant harvests without any problem. It is a plant of small/medium stature, whose performance indoors is good, and whose structure allows an optimum development in small spaces. Outdoors it enjoys a warm or dry climate, as well as the protective atmosphere of a greenhouse. 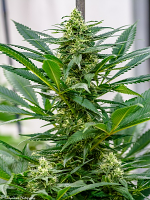 Shark Shock CBD originates from a cross of the "White" family, winner of numerous prizes in the 90s which comes from a line with high levels of CBD. The important medicinal properties contained in the thick layer of resin which covers its flowers pay homage to its ancestors. It is the medicinal version of Shark Shock. 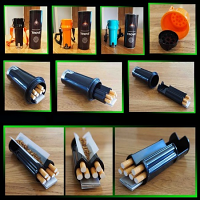 It is intended for growers, of any level, who are looking for varieties with good overall qualities and a certain interest in therapeutic use. It is a variety that guarantees quality harvests, quickly and simply. Shark Shock CBD has an intense aroma and taste, with garlic and sour hints. Its effect is potent and relaxing, more physical than mental, but without being too heavy. 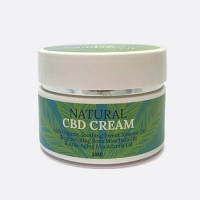 It is ideal for relaxing, for the relief of the symptoms associated with anorexia, insomnia, muscular aches and pains and depression.